Beck & Pauli's Birdseye Map of Little Rock. From 1887. Author: Beck & Pauli Lith. 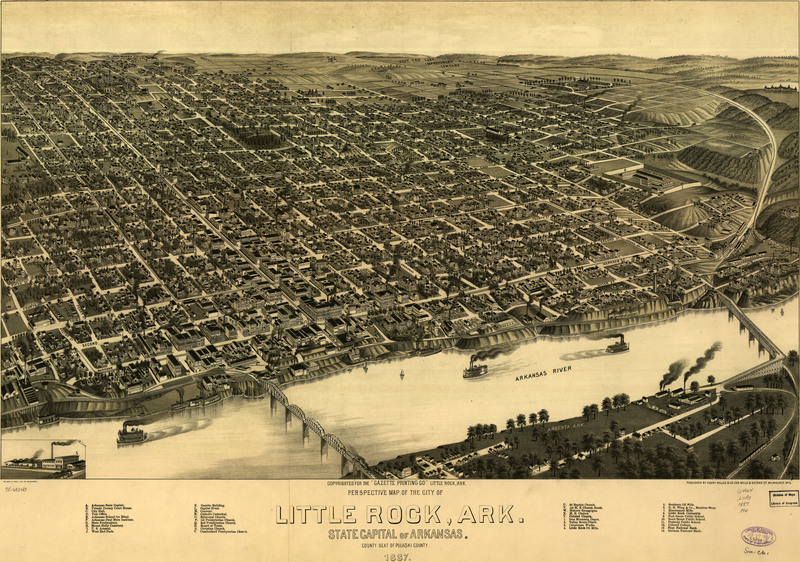 Co.
Beck & Pauli's birdseye map of Little Rock, Arkansas [gmap] in 1887. 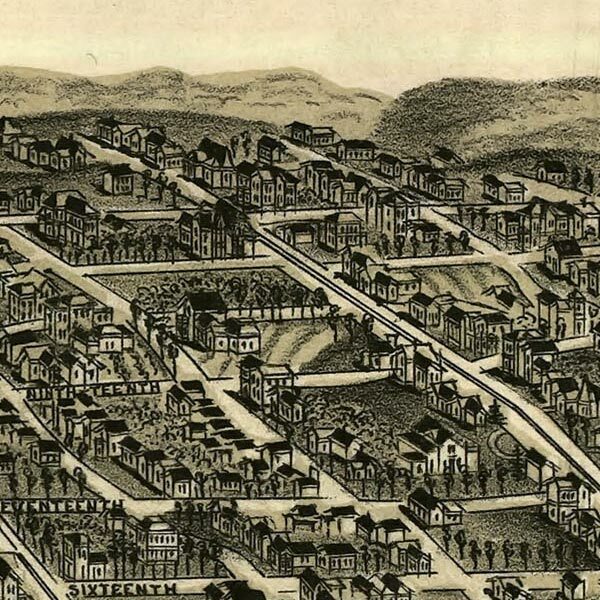 For more maps and images from this period in the region's history, visit the Arkansas Historical Association.